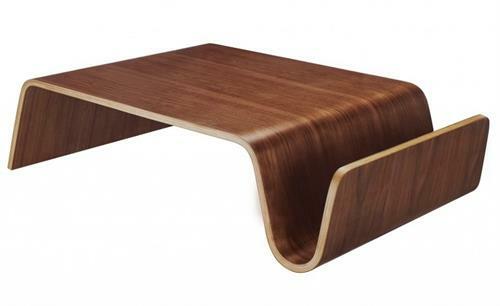 The Modern Walnut Plywood Swag Coffee Table is a classic of the future with sleek looks, a stunning shape, functional features and truly beautiful modern design. This walnut coffee table comprises layers of carefully moulded plywood to form the table and neat storage magazine section on the side. The layers provide great strength to the table and the walnut veneer is the perfect finish to suit any room. 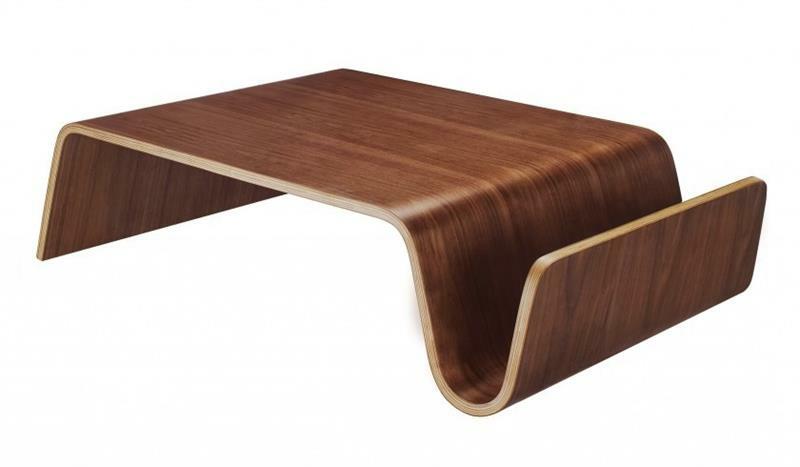 From modern to retro interiors this walnut plywood Swag coffee table is a great piece of furniture.